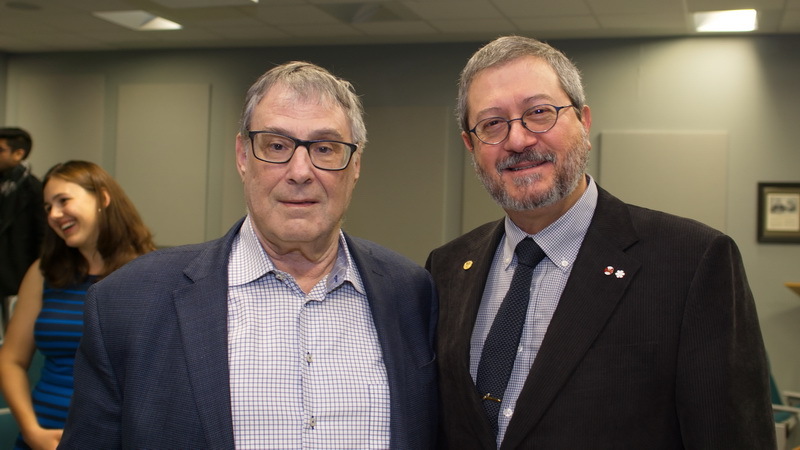 On Friday November 25th, the Department of Epidemiology and Biostatistics successfully hosted the Annual Carol Buck Lecture and Graduate Scholarship. 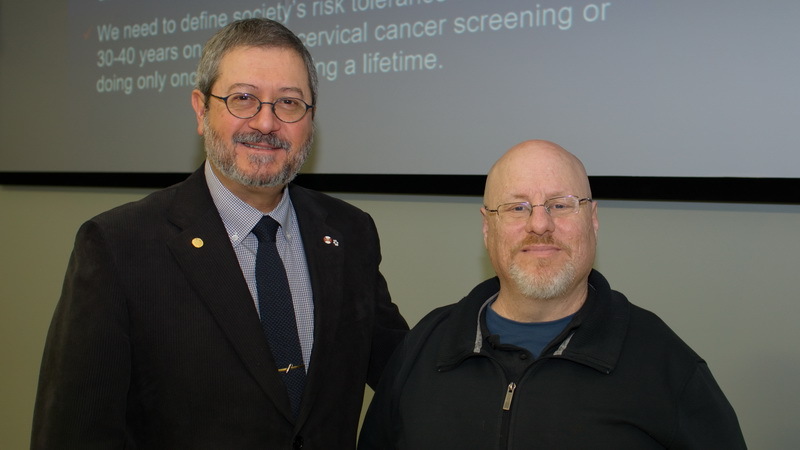 Gracious thanks go out to Dr. Eduardo L. Franco, of McGill University, the Carol Buck Lecturer, for presenting the 2016 Annual Carol Buck Lecture, titled, "Promises and Perils on the Road to Eradicating Cervical Cancer". 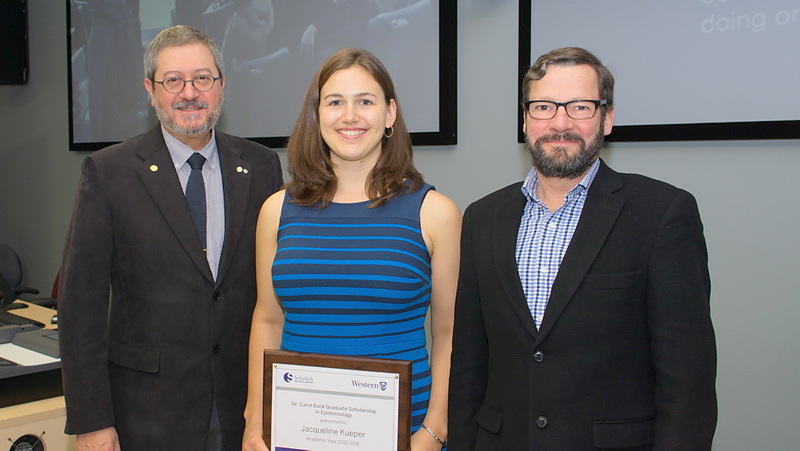 We would also like to extend warm congratulations to the Carol Buck Graduate Scholarship winner, Jacqueline Kueper, MSc Candidate. Dr. Eduardo L. Franco is James McGill Professor and Chairman, Department of Oncology, and Director, Division of Cancer Epidemiology, McGill University, Montreal. Since 1985, he has conducted epidemiologic research on the causes of cancer and on the means to prevent it or to improve patient survival, topics on which he has published more than 430 articles and two books. Dr. Franco is mostly known for his contributions to our understanding of human papillomavirus infection as the cause of cervical cancer and using this knowledge to prevent this cancer via vaccination and improved screening strategies. 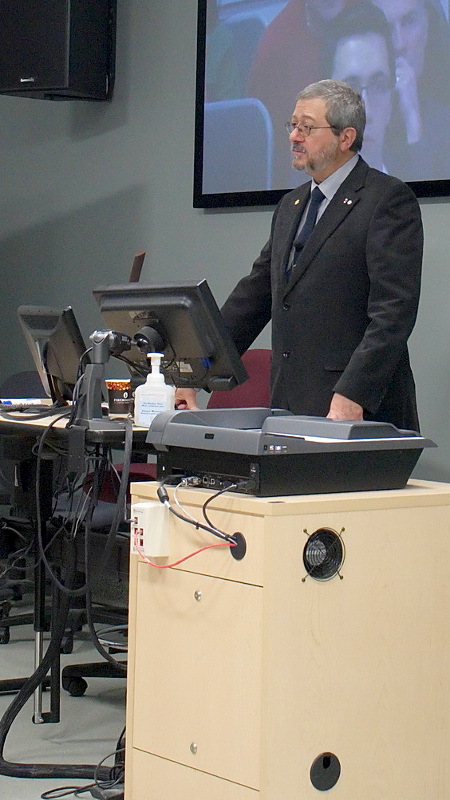 For his work on these topics he received Lifetime Achievement Awards from the American Society for Colposcopy and Cervical Pathology and from the International Papillomavirus Society, the Women in US Government’s Leadership Award, the Canadian Cancer Society’s Warwick Prize, and the McLaughlin-Gallie Award from the Royal College of Physicians and Surgeons of Canada. He has mentored 100 graduate students and post-doctoral fellows, and 28 undergraduate trainees. He is the Editor-in-Chief of Preventive Medicine and has served in the editorial boards of several top-tier journals in oncology and epidemiology. 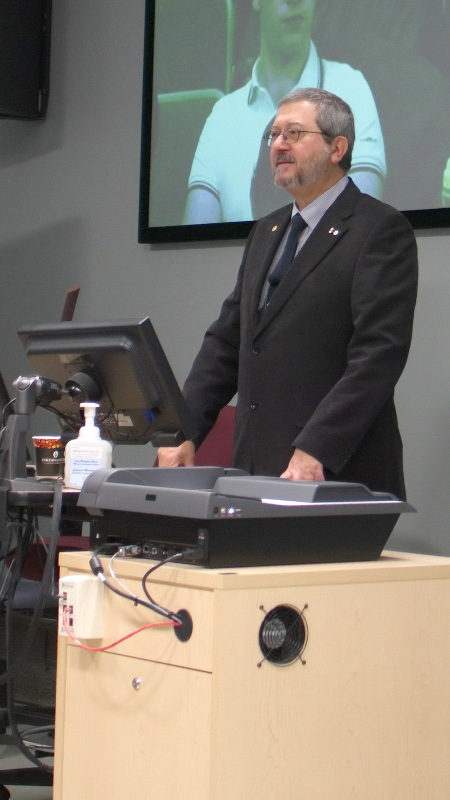 He is Officer of the Order of Canada and Fellow of the Royal Society of Canada and of the Canadian Academy of Health Sciences. 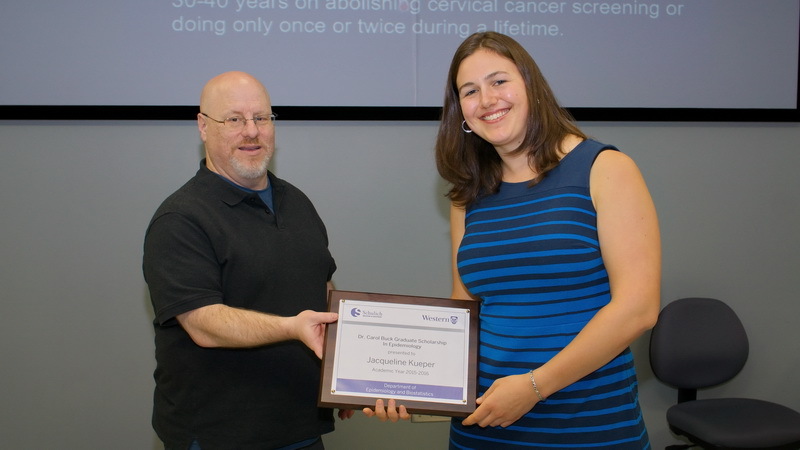 The Carol Buck Graduate Scholarship in Epidemiology is presented annually to an outstanding graduate student. The scholarship was established to honour Dr. Carol Buck, whose affiliation with the Department of Epidemiology and Biostatistics was from 1952 to 2004. Throughout her career, Dr. Buck’s work demonstrated a passionate commitment to advancing human health. Using rigorous methods of epidemiology and biostatistics to identify and correct the causes and determinants of ill-health, she became an international leader in the discipline. Carol’s colleagues and former students respected her amazing clarity of thought and communication. She was a gifted teacher who had a significant impact on many graduate students, medical students and colleagues. The scholarship will be awarded in a ceremony following the annual Carol Buck Lecture, given by a distinguished academic from the fields of Epidemiology and Biostatistics.